En tweed (laine) chevron gris et marron. 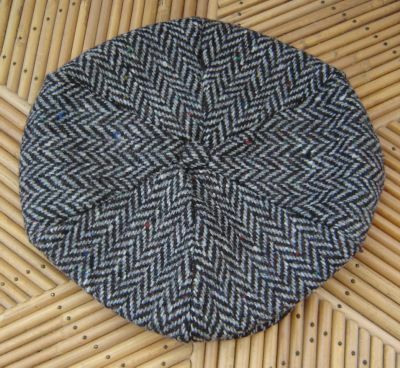 Le tweed de ce modèle est épais. 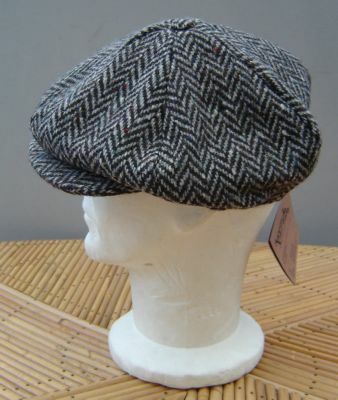 Retro Gatsby Neswboy 8-piece cap. 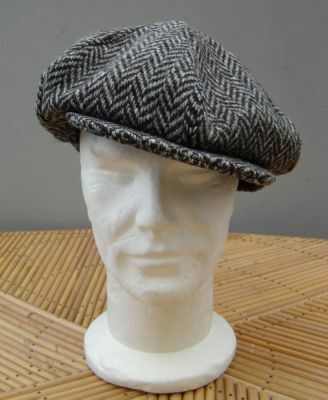 Heavy tweed (wool) in grey and brown herringbone.